Philips Global Innovation Leader Kirk Elder doesn’t like to wear watches. Population health management involves smartly segmenting patients based on things like age, conditions and demographic information. But population health systems aren’t equipped to handle quirks like Elder’s. So at Philips, one challenge is to create personalized care experiences at scale. If doctors are looking for an example of a failure to personalize experiences, Elder said, they need look no further than their EHRs. “In the US, we have had such a backlash against usability issues with EHRs. And it’s because of a monolithic approach. They brought one application to all users regardless of who they were,” he said. Now, the industry has the opportunity to not make the same mistake as they design patient-facing digital health tools. The key to delivering both scalable, population-based care and personalized care, and to working with all the different stakeholders involved in modern healthcare, is ecosystem-based tools like open APIs, he said. That way, one company like Philips won’t need to build tools for every highly specific patient, or even the tools that help connect those patients to the right care. Instead, a whole network of startups and innovators can build those tools. Editor's note: This story was reported in Tel Aviv, Israel on a trip paid for by the Israeli Export Institute, an organization funded in part by the Israeli government, which covered airfare and lodging for reporters. 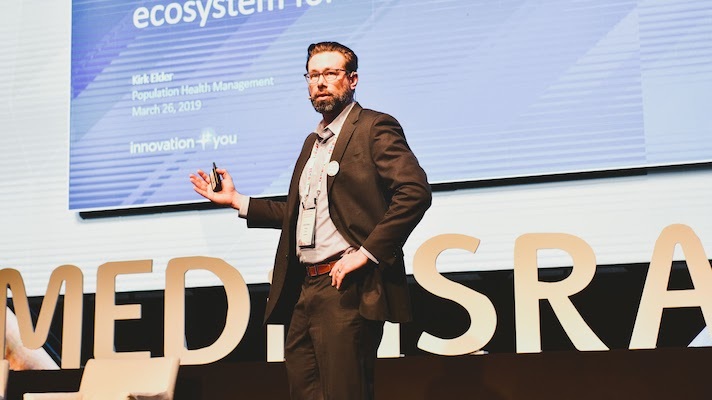 MobiHealthNews Editor in Chief Jonah Comstock also participated as an onstage speaker at MEDinIsrael 2019. As always, MobiHealthNews maintains its editorial independence and made no promises to the Israeli Export Institute about the content or quantity of coverage.